Lars Terenius is a neurobiologist whose research focuses on neurogenetics and psychiatric diseases, and on alcohol and drug dependence. He was the first to show that certain small peptides, produced naturally in the body, act on the brain's opiate receptors in a manner similar to that of other opiates. This discovery helped elucidate the pharmacological effects of opiates and other painkillers, widely used in the practice of medicine. It also gave important insights into the chemistry of the brain, helping researchers to better understand the origins of some mental disorders resulting from chemical imbalances. A current research focus is molecular imaging using advanced technologies including FCS (fluorescence correlation spectroscopy) to study the molecular dynamics an interactions in the living cell. 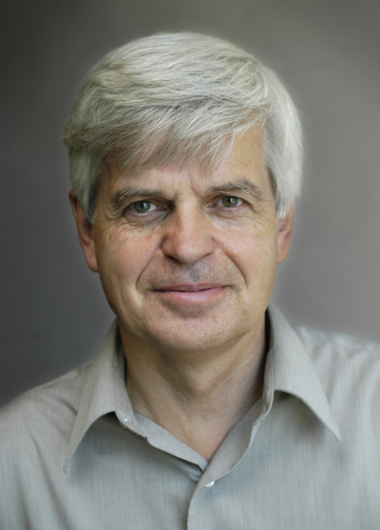 Lars Terenius is Professor Emeritus in the Department of Clinical Neuroscience at the Karolinska Institutet, and has over 500 publications on various topics including chronic pain, drug and alcohol dependence and psychosis. He is also the Founding Director of the Center for Molecular Medicine, a center for studies of disease mechanisms as a way to improved diagnosis and treatment, with about 400 scientists, situated at the Karolinska University Hospital, Solna. He was a member of the State of the Science Committee on Child and Adolescent Mental Health organized by the Swedish Royal Academy of Sciences. Dr Terenius earned his PhD in medical pharmacology from the University of Uppsala in 1969 and has taught there, at the Karolinska Institutet and at the Scripps Research Institute where he is also Professor of Molecular and Cellular Neuroscience. He has held visiting professorships at the National Institute for Medical Research, London, Rockefeller University, Harvard University, the University of Aberdeen, Hebrew University in Jerusalem and the Neurosciences Institute in San Diego. He is a member of the Royal Swedish Academy of Sciences, Uppsala, Royal Academy of Sciences, Stockholm, Academia Europaea, Cambridge, the Nobel Assembly on Physiology or Medicine since 1990, the American Academy of Arts and Sciences and has received numerous awards, among them the Pacesetter Award, the Canadian Gairdner International Award, the Björkéns Prize, Olof Rudbeck Prize, and the Ipsen Award (Paris). Corresponding Research Fellow, the Institute of Biomedical Sciences, Academia Sinica.